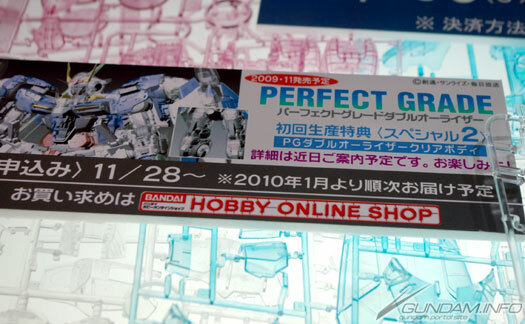 Update 03/24/2010: HLJ just announced that their PG Raiser was on sale for 30% Off. Add that with the Cheap FedEx rates and 20% discounted EMS shipping till June 30 and you could come out with a bargain here. Update 02/09/2010: 3rd Party sellers selling it at Amazon for $$$$ ... gaaahhh. 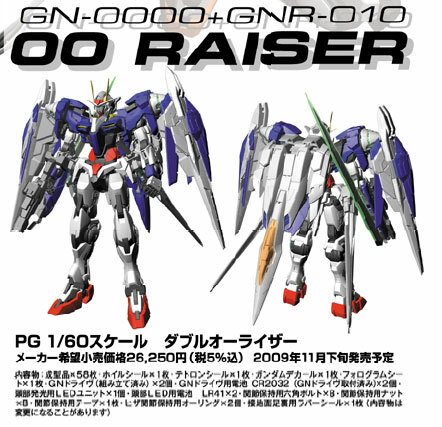 Update 12/05/2009: After the color guide, I started translating slowly the PG 00 Raiser's Japanese Construction Manual into English. 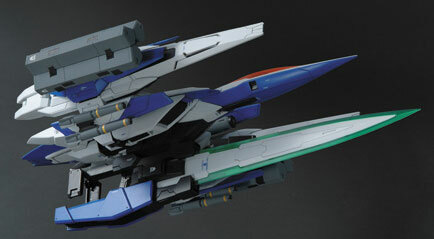 Update 12/04/2009: Color Guide had been translated to English here. 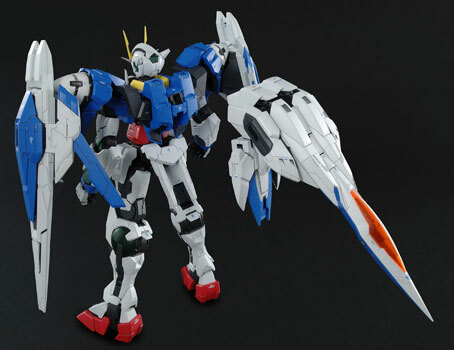 Check out Dalong.net for detailed parts shots. 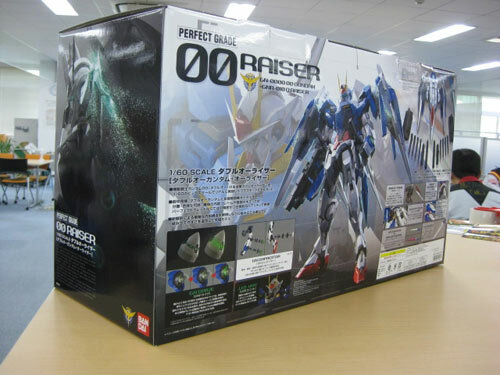 Update 11/28/2009: With HWJapan's Gundam Sale ongoing, their price for the PG 00 Raiser is at 17500 yen or 30% off. 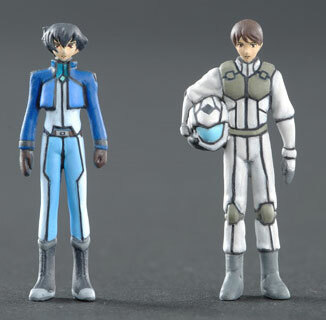 The bad news is that due to size shipment limitations, they cannot ship to the following countries: (EMS) Spain, Philippines, Argentine, and others. (SAL) U.S.A., Argentine, Australia, Brazil, Mexico Russia and others. 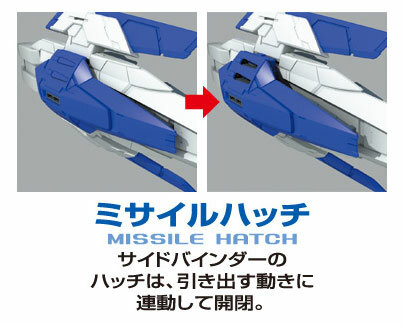 I wonder if its the same for other online shops? 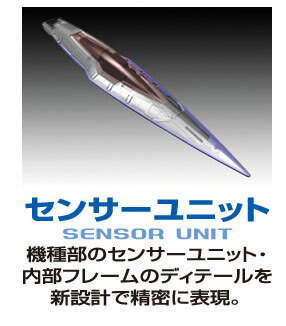 I guess what they mean here is that for the US, they can't ship via SAL, only EMS? I hope that is what they mean by that. 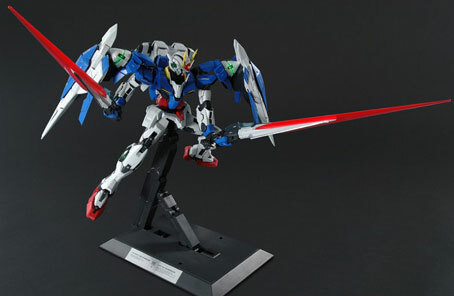 Best to shoot them an email before ordering from HWJapan. 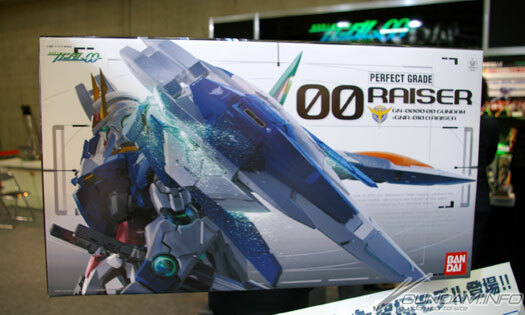 Update 11/11/2009: Amiami is selling this for only 18,280, they just recently started shipping overseas. 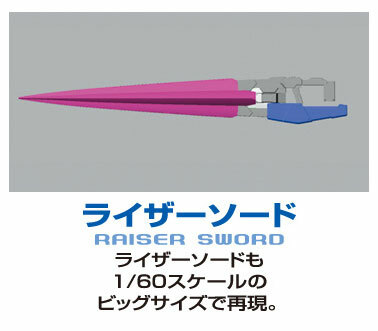 Update 10/22/2009: Amazon Japan is selling it for ￥16533 yen, don't think they ship overseas though. 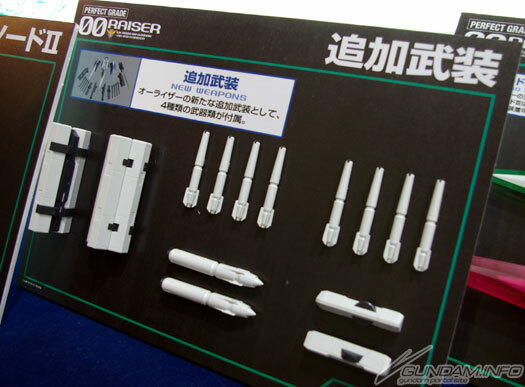 Update 10/11/2009 : More photos of the Pefect Grade Double 00 Raiser taken from the 49th All Japan Plastic Model Show can be found here. 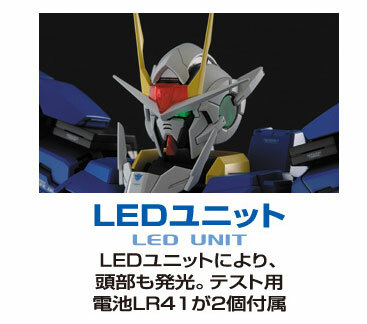 Update: I'm wondering though why HLJ is selling theirs for only Y17062 at their Japanese site while in the english site its pre-order price is Y23,750? 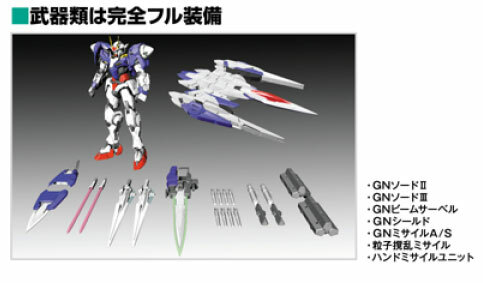 Update: According to this official post from the developers of the PG 00 Raiser, the kit has a total of 1031 piece parts. 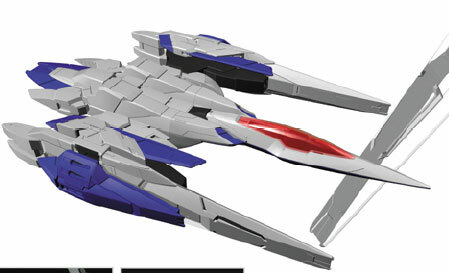 Whoa, just saw this at the Bandai Site. 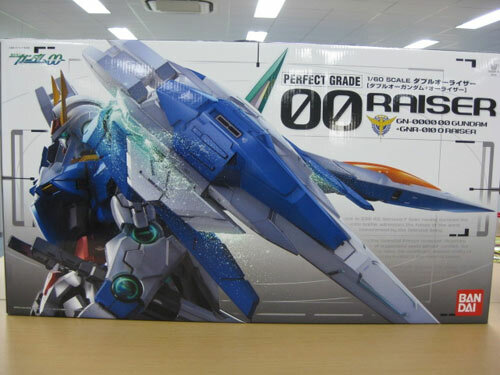 A Perfect Grade rendition of the 00 Raiser ("Double O" Raiser) in 1/60 th scale. 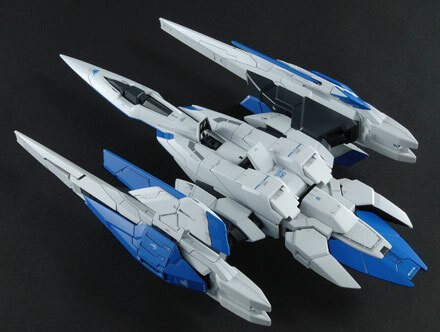 Be sure to check out the PDF file at the link above for more details and shots of the kit. 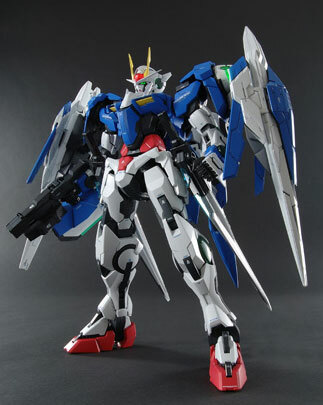 In the "Gundam"-verse, a GN-0000 00 Gundam will combine with a GNR-010 0 Raiser to produce this marvelous mecha of mayhem and destruction known as the 00 Raiser. 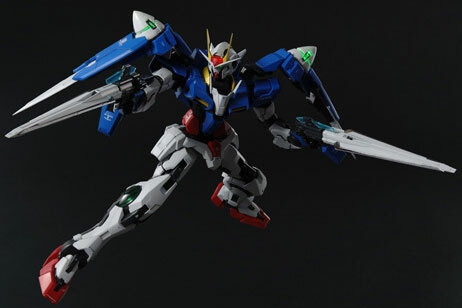 More shots of the kit with the 0 Raiser already attached to the Gundam 00. 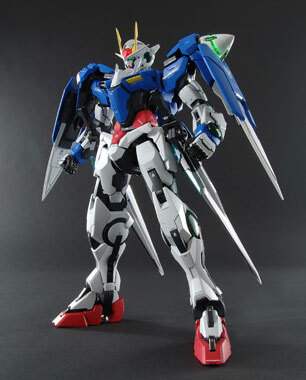 Here's the 3D drawing of the 0 Raiser. Sadly no other "live" shots included in the PDF. 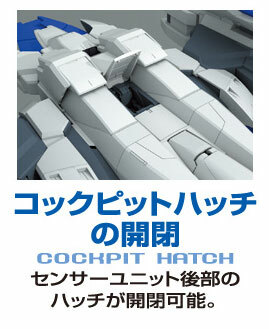 Based from my understanding of the Japanese, it will be available by November 2009 and will retail for (Y26,250). 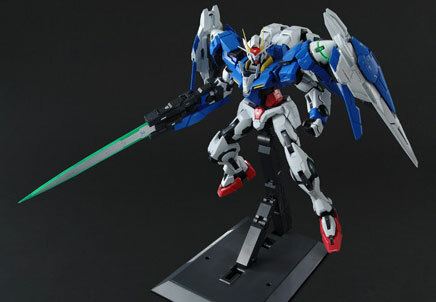 Its already up for pre-order at Hobby Search and HLJ for Y23,750. 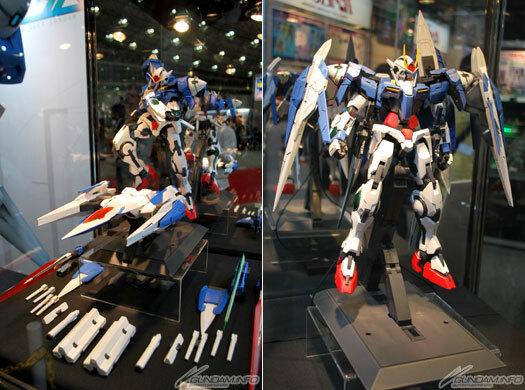 These pictures were taken from here. 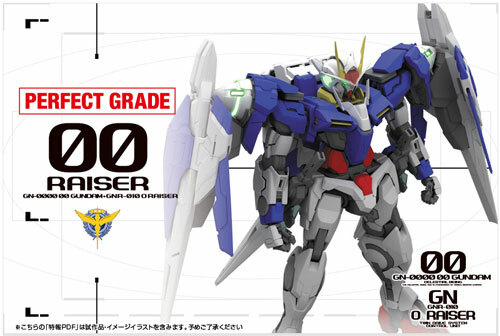 Was looking at the specification page of the Perfect Grade Double 00 and 0 Raiser at the Bandai Hobby Site and only realized now that the spec data had already been posted. 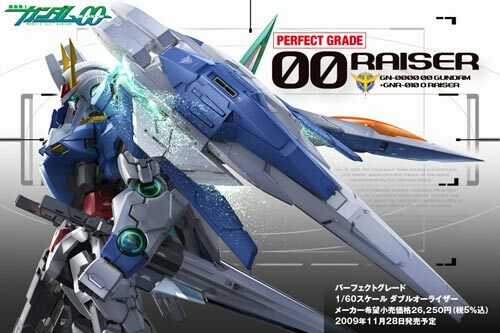 I posted about the Perfect Grade Gundam 00 Raiser before and that it is scheduled to be released on the 26th of this month. 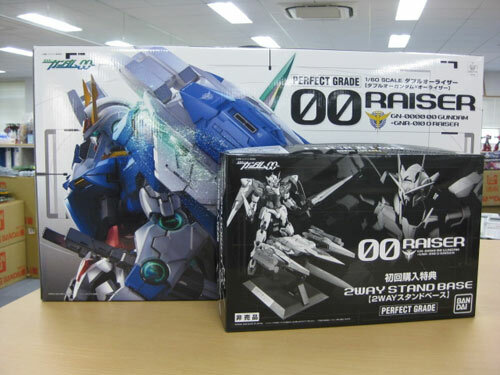 The 00 Raiser is actually a two part kit comprising of the Gundam Double 00 flown by Setsuna F. Seie and the 0 Raiser fighter, reluctantly flown by Saji Crossroad. 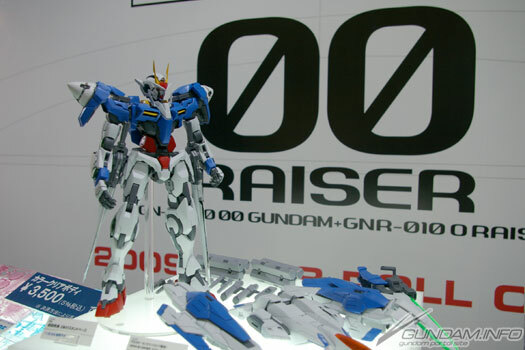 In the Gundam 00 Season 2 series, the purpose of the 0 Raiser, aside from providing additional weapons, is to balance out the twin GN drives in order to increase the power generated from it. 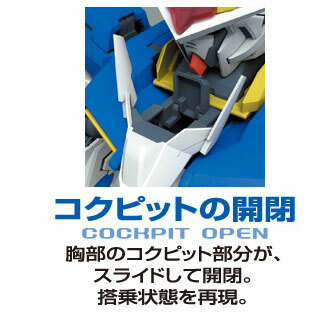 The cockpit of the 00 Gundam at the chest slides open and shut. 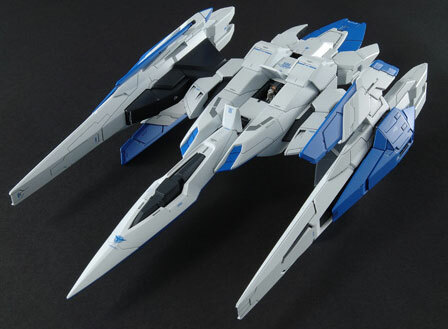 It reproduces the boarding and embarkation of the pilot figure. 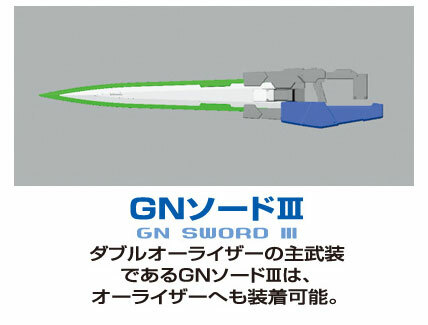 Both GN drives at the shoulders are already assembled. 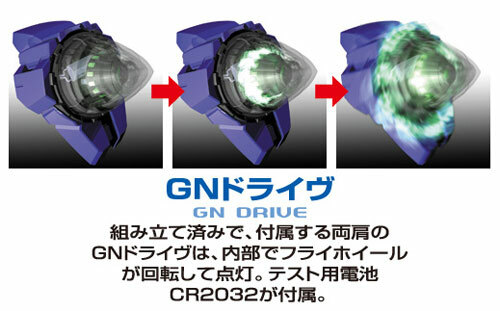 The internal flywheels of the GN drive rotates　and lights up. 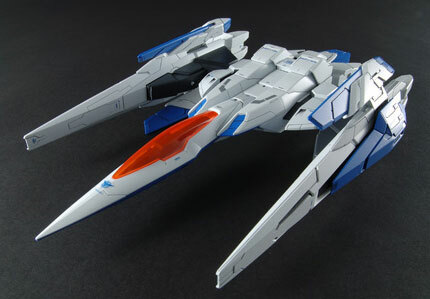 It uses CR2032 batteries. 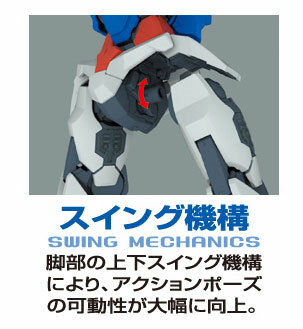 Great swing mechanism on the legs enables action posing. 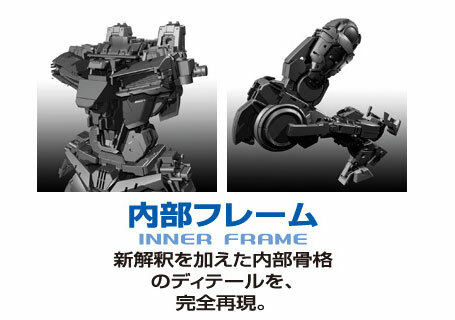 Detailed Inner Frame of the internal parts. 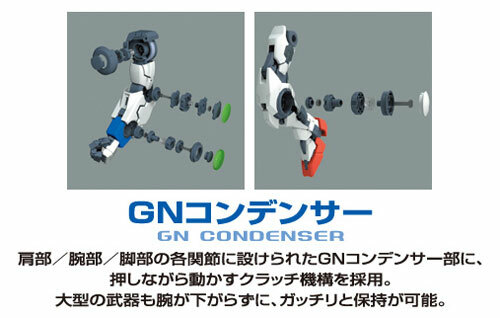 Each of the GN Condenser parts at the Arm, shoulder and leg joints are assembled like a clutch mechanism. 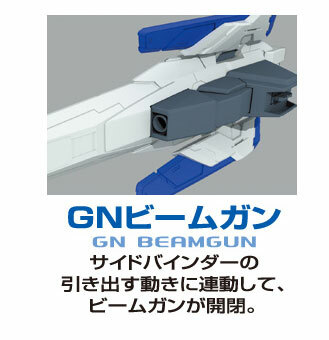 GN Beam gun can be opened and closed along with the side binder which can be pulled out. 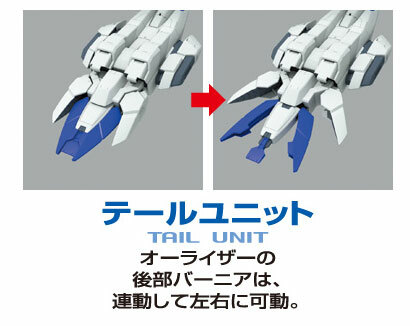 0 Raiser tail verniers are extremely movable.